This photograph is a morning panorama of the Pebble Hill golf course just outside of Carmel, California. 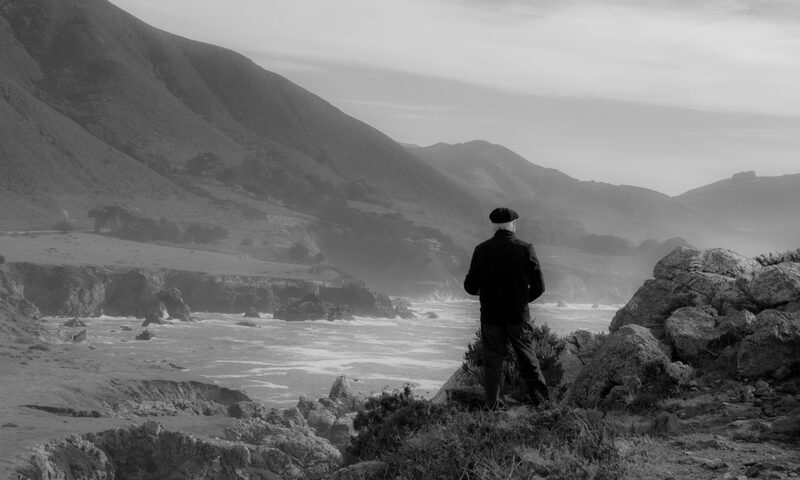 In fact, the photograph was taken on the beach of Carmel Bay. Beyond the point at the far left of the photograph is Spyglass Cove, where I have sat a number of times and just watched the sea otters and harbor seals bob between the long, whip-like strands of bull kelp. This photograph of a rhododendron bulb was one of the first macro photographs that I ever took. It was taken in Deep Gap, North Carolina (near Brevard and Cashiers) on the property of a very close friend where my family spends two weeks in July and again at Christmas each year. The word rhododendron is Greek for “rose tree” and counts azaleas among its many varietals. The beautiful white-petaled flowers on this Rhododendron Maximum (“Rosebay” or “American” Rhododendron) had not yet emerged on the trees on the property, but the compact tulip-like bulbs were ripe to bloom very soon thereafter.